What do get when you cross something that's excellent but you're really tired of, with something that's through and through fresh and really exciting? Well in Chinah and Jack Garratt's case, you get an absolutely incredible rework of 'Worry'. This is the third time I've featured Chinah in some form this year and I could not be more pleased with that fact. This time the Danish three piece have managed to reimagine a song that has been kicking around for almost two years. To work with a track that's become so well known (especially in the "blogosphere") in that time and turn it into something that is genuinely interesting to listen to in its own right is really impressive. Frontwoman Fine Glindvad's vocals alongside Garratt's are an absolute dream, but this isn't just about a vocal cover for Chinah, this is an instrumental rerouting. The Danes put a more laidback spin on 'Worry' which is miles apart from the hectic live instrumentation we've seen Garratt perform over the last couple of years. But this works so well. 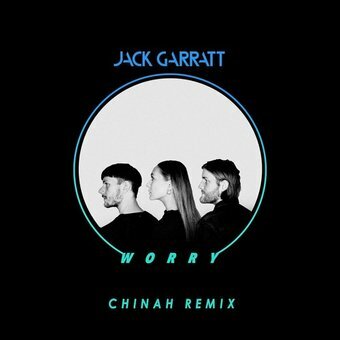 Chinah have genuinely made me fall back in love with a song that I had become very bored of hearing up until now. I could not be more excited about what this band have in store for the rest of 2016 and beyond because Lord knows it's going to be incredible.